August 17th 2016. 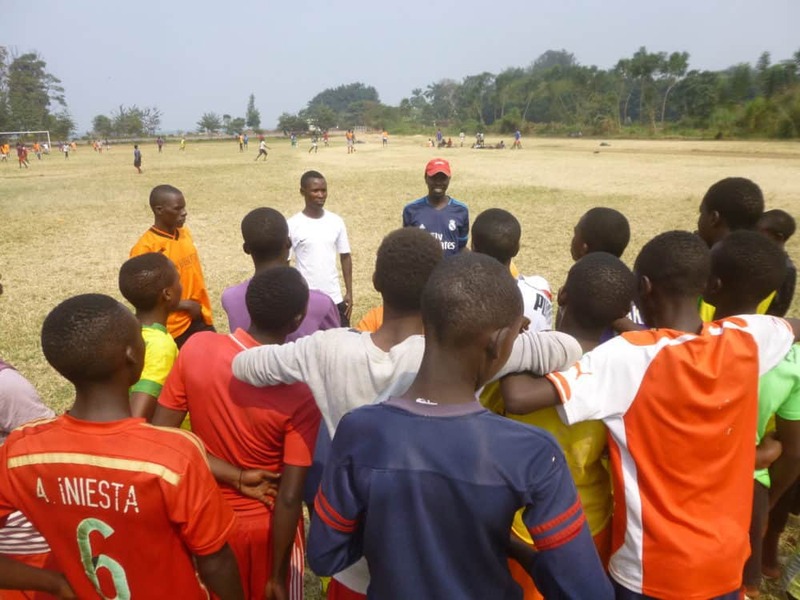 CAC Community Impact Coach (CIC) Evariste Habimana wrote about working in Rubavu, Rwanda with Football for Hope, Peace and Unity. 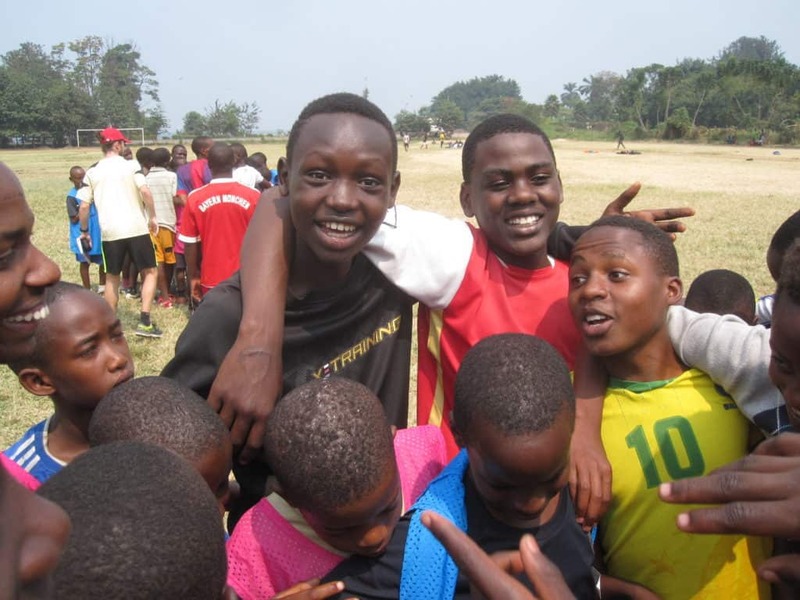 Rubavu is the nursery for football in Rwanda. I enjoyed working with the coaches from this district. They are professional and are zealous about coaching. As I was working with them I learned many things about coaching styles. But most important to me was watching them enthusiastically learn the CAC games. Before I joined CAC I thought coaching football was to create professional players. But now I realize that coaching can be a lot more. All football teams around the world play games for technique, tactics, and endurance. With CAC we play these same games, but combine them with messages for social impact. These messages are about gender equity, female empowerment, conflict prevention, child rights, HIV prevention and more. My favorite game in Rubavu was “Child Rights: Social Inclusion”. Some groups of children are excluded, such as females, disabled, or for religious reasons. Our coaches will begin to change this. Here is how the game is played. It is like regular football, there are two teams. The only difference is that players have to stay in their own zone. The pitch is divided into three equal zones. The forwards must stay in the attacking zones, midfielders stay in the middle zone, and defenders stay in the back zone – in front of their goal. Not allowed to leave your zone is like being excluded. In football a defender often scores a goal. Midfielders are expected to score goals and defend their goal besides controlling the midfield. Forwards often have to help defend their goal too. Just to give coaches the feeling of being excluded compared to being free to play we make a change to the game. One team is allowed to move wherever they want and the other team is restricted to their zones. At the end, we ask, “How does that feel?” The team that was restricted was not very happy and complained that the game was not fair. We knew: they understood the message of the game. Just like footballers must be allowed to play the whole pitch, all who want to play football must be allowed to play. It does not matter if they are old or female or disabled. This applies to all activities, not just sports. I expect that our CAC trained coaches will use our curriculum in their regular program. And that it will make a positive social impact for their communities. Through my time as a CIC in Rubavu I got to meet new coaches and share with them my knowledge and experience. I feel encouraged by the CAC coaches to now even approach and educate coaches in my home community in Nyanza who never participated in CAC training nor use Sport for Social Impact. I now feel confident to create games myself and implement them at the school I teach. I really appreciated your work.I can testify it because i had a chance to watch them at Rubavu. I saw ho committed you were,and how coaches were excited to work with youth. Thank you for your hardworking.